Oh. My. God. This book grabbed me from the first pages, terrified me, destroyed me, and left me with a story I’ll never forget. This book absolutely destroyed me. I didn’t know what to expect from it, besides that it was clearly dealing with dark subject matter, but I was not at all prepared for the emotional roller-coaster that this book was. Out of Darkness is told from the point of view of six people: Naomi, Wash, Beto, Cari, Henry, and the Gang. Each character is given a unique voice and deal with multifaceted issues. Even the younger characters—Beto and Cari—have realistic thoughts, bringing them to life in a way that many depictions of children don’t. While I expected it to be hard to keep each character’s story straight, it really wasn’t. Every character has such a clear personality that it was not hard to keep track of who was who, and their stories wove together in such a way that the overall plot was always easy to follow. 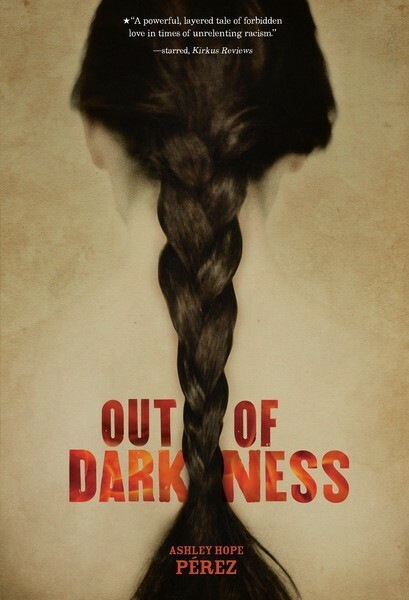 Out of Darkness begins with a dramatic depiction of rescue workers pulling wounded and dead children out of the wreckage of a school that blew up in 1930s Texas. Then the story backtracks to a year before the explosion, introducing the characters and establishing a separate plot. In this way, the story is not about the explosion, but it is always progressing toward the explosion, adding a heavy sense of doom to an already dark story. The true plot of Out of Darkness is character-driven, focused on the life of Naomi and her family in an oil-drilling town in Texas. Naomi is Mexican, and her two half-siblings are half-white, half-Mexican, able to pass as white in the town. Naomi finds herself trapped between the white and black worlds of the town, unable to fit in with either culture. Romance, rebellion, racism and sexism all coalesce into a heartbreakingly real story. Honestly, a lot more things happen in Out of Darkness, but to list them here would be to give away major portions of the plot. Suffice to say that this book is anything but one-dimensional, and it touches on countless societal issues. The power of this book comes from the writing style. It has been a while since I’ve read a book that honestly shocked me with its prose. It’s hard to quantify what makes Out of Darkness’s writing so gorgeous; it’s not overly poetic or lyrical, but it reads with a rare fluidity. Each of the characters felt real to me, and their struggles captured my heart. I spent the last sixty pages of the book terrified, and the last thirty pages of the book sobbing uncontrollably. To say that this book took over my life while I was reading it would be an understatement. I would recommend Out of Darkness to anyone who is up for a strikingly honest tale of racism in 1930s America. This book pulls no punches, and it doesn’t apologize for its graphic content—but I’m glad for it. I know I won’t forget this story for a very long time.